PLAYER DEVELOPMENT - First and foremost, we believe that lacrosse should be fun. We believe that building a solid foundation in our athletes, with a variety of drills, intense, fast paced practices, lead by incredibly enthusiastic coaches, will ultimately translate into greater success on and off the field. The foundation upon which we build our athletes consists of mastery of the basic fundamentals of lacrosse, speed, agility, and a sound knowledge of the game. We also mentor our athletes in teamwork, good sportsmanship and a hard work ethic bothon and off the field. As a coaching staff, it is our priority to build well rounded athletes that will allow us to connect their passion for lacrosse with their individual skill set and talents. We believe that with dedication and direction on the field we can successfully track the progression of our athletes in our camps, clinics and on our travel teams. COACHING STAFF - The Royal Lacrosse coaching staff is second to none. Our staff range from high school coaches, professional athletes to former Div. I, II & III players. HOWEVER, these credentials are NOT how we select our staff. Our coaches are selected very carefully. Each and every one of our coaches are incredibly enthusiastic and passionate about teaching the game of lacrosse. The take pride not only in the development of the team but also the development of each individual player. Our coaches want to get to know the players and believe it or not, they want to get to know the parents as well. DEVELOPMENT PROGRAMS - We believe STRONGLY that student athletes should play more than one sport. However, we do offer year round programs that DO NOT interfere with the in-season sports. Our programs include Fall, Winter & Summer travel teams, skills clinics, positional clinics, strength & conditioning programs, small group training, 1on1 training & our annual FREE clinics in the summer. Whether you are a 1st grader beginning your lacrosse career or a high school student-athlete, our players are taught in the most intimate, effective, and progressively consistent manner on a positional, individual, and team level. CHARACTER BUILDING - Royal Lacrosse looks to get the best out of each and every individual player, striving to achieve a combination of confidence, positive attitude, and strong work ethic. With confidence, each player learns an invaluable life lesson that will guide them through school, social, and professional settings. With a positive attitude, players will embrace a commitment to always put forth their best effort, regardless of the challenges faced. With strong work ethic, players will be able to push their limits beyond their expectations. We strongly believe that these character traits are key to producing great lacrosse players, and most importantly great players. COMMITMENT TO FAMILY - We believe that chemistry and unity is the ultimate recipe for success in any sport. When you are selected to one of our teams or join one of our programs, you are not just another number. Once you join our organization, you are really becoming part of a family, the Royal Family. COLLEGE RECRUITING - When the time comes for your once little boys, now lacrosse studs, to begin their college recruiting journey, we will not leave you helpless to try and navigate the college recruiting process on your own. All of our staff and coaches have been through the recruiting process themselves and many have been around the game 20 - 40 years. We have the experience guide you through the process and the college connections to reach out when needed. We understand that each student-athlete is unique and will have different goals, needs, wants and dreams. We will also help your child identify college that have the best balance of academics and athletics. At the end of the day it is our goal to help you achieve these goals. 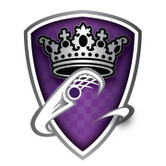 FINANCIAL ASSISTANCE - Money has never been the driving factor at Royal Lacrosse. Our cost to participate have always been comparable, if not less then competing programs, while consistently offering more for your money. We firmly believe that exceptional student-athletes of good character & work ethic, who can not make the financial commitment, should NEVER be denied the opportunity to experience club lacrosse. From the beginning we have always offered scholarships, family discounts & payment plans for those in need. If you are in need of financial assistance or would like to discuss costs please contact us directly. CUSTOMER SERVICE - At Royal Lacrosse we strive to create a great experience for the entire family. We want our families to know that not only are we here for the players but we are also here for the parents in every way possible and appreciate their patronage, support and the relationships we build along the way.